At Legalweek, we announced that ayfie Inspector for Relativity® now revolutionizes productivity and accuracy for document review with state-of-the-art Continuous Active Learning workflows powered by SentioAI™ & Sentio Maestro™. CAL can be compared to consumer music or product recommendation engines. Learn more about ayfie CAL here. Besides the new CAL methods, we are currently doing a lot of work in identifying PII in document sets, for instance for companies in the United States and Europe that are leveraging Relativity® to do data breach investigations. A lot of our customers are using ayfie technology to index all the data behind the firewall. With GDPR and other regulations affecting the use and storage of private data the ability to identify that throughout their systems has become very important. It’s been 2,5 years since we introduced the first integration with Relativity®. 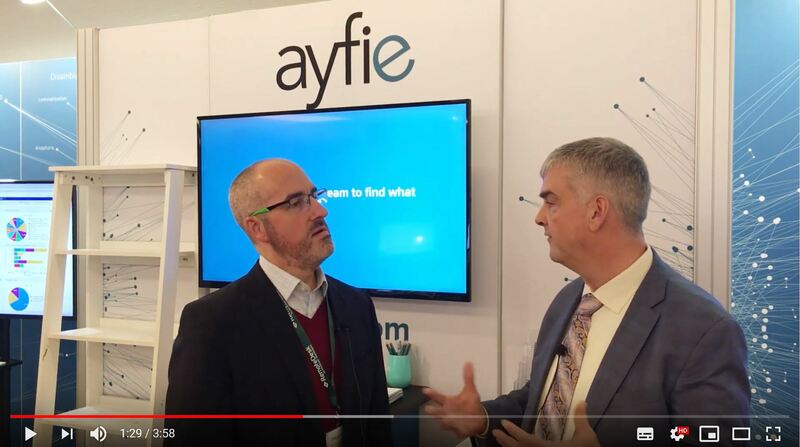 We also have several OEM partners who leverage the ayfie engine to drive highly precise analytics as part of their offering, for instance, ONE Discovery or LLM. We offer all the standard functionalities that customers would expect from an eDiscovery solution, like email threading or conceptual search. And on top of that, we can identify entities within the data to uncover the “who did what when” and leverage those terms to help reviewers find answers to their questions quicker.